Nigeria, most populous and largest economy in Africa, recorded many firsts in 2017. The most significant, perhaps, was its exit from recession in second quarter in 2017 while GDP later grew by 1.4 percent a quarter later. In December 2017, a report from the Central Bank of Nigeria (CBN) showed that the real sector of the economy had recorded a consistent growth for 10 months. Again, five days into 2018; the apex bank announced that at $40.4 billion, Nigeria’s foreign reserves recorded the highest growth in four years. According to the Central Bank of Nigeria, the growth indicated an increase of about $1 billion between December 2017 and January 2018. 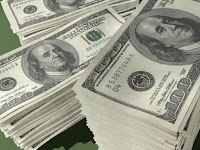 Foreign exchange reserves (also called forex reserves or FX reserves) is money or other assets held by a central bank or other monetary authority so that it can pay, if need be, its liabilities, such as the currency issued by the central bank, as well as the various bank reserves deposited with the central bank by the government and other financial institutions. Reserves are held in one or more reserve currencies, mostly the United States dollar and to a lesser extent, the Chinese yuan. Meanwhile, the quantum leap in Nigeria’s foreign reserves portfolio has remained a subject of debate among multilateral organisations like the World Bank and local institutions in Nigeria. While the former have linked the growth to a favourable commodity price in the world market, the CBN maintains that its policies on foreign exchange management have brought the gains to the nation. The World Bank suggested in its January 2018 Global Economic Prospect report launched last week Tuesday in Washington DC, that an upward revision to Nigeria’s growth forecast was based on expectation that oil production will continue to recover and that reforms will lift non-oil sector growth. “Nigeria is anticipated to accelerate to a 2.5 per cent rate this year from one per cent growth in the year just ended. An upward revision to Nigeria’s forecast is based on expectation that oil production will continue to recover and that reforms will lift non-oil sector growth,” the report said. The World Bank expects Nigeria’s Gross Domestic Product (GDP) to grow by 2.8 per cent in 2019 and 2020 respectively. A report from the Organisation of Petroleum Exporting Countries (OPEC) corroborated the position of the World Bank that Nigeria’s economy growth, which also has impacted its external reserves, is in no way disconnected with an increase in crude oil prices which is particularly favourable to Nigeria. According to OPEC, price of Nigeria’s Bonny Light crude oil reached $67.10 per barrel to emerge the highest priced product among members of Organisation of the Petroleum Exporting Countries (OPEC) recently. “Apart from Bonny Light crudes, other Nigeria’s oil grades such as Brass River and Qua Iboe also appreciated in value to sell at $65.32 and $61.22 per barrel respectively on Tuesday, January 2, 2018, at the international market”. But the CBN Governor, Godwin Emefiele, who in November last year at a gathering of bankers, economists and key stakeholders in the economy in Lagos, predicted that the nation’s foreign reserves, which has witnessed a positive growth over the last 12 months, from just over $23 billion in October 2016 to over $33 billion in October 2017, will hit the $40billion mark in 2018, said the feat was achieved largely due to the policy direction of the bank on foreign exchange. His words: “The accretion in reserves does not only reflect increased inflow but also our shrewd forex demand management strategy. When we introduced a policy restricting 41 items from our forex markets, we were called all manner of names”. Apart from its restriction policy on import, Emefiele disclosed in December last year that the nation’s foreign reserves rose to $38.2billion with the issuance of Eurobonds by the Federal Government. He described the external reserves figure as the highest in 39 months. In November, the Federal Government raised $3billion through Eurobonds, which were oversubscribed by about $11billion and split across 10-year and 30-year tranches at issuance yield of 6.5 per cent and 7.625 per cent, respectively. Some financial experts could not agree less with the Nigeria’s number one banker as they said the positive growth witnessed in Nigeria’s economy in the last 10 months was due largely to the forex management policy of the CBN. They identified the source of resurging forex liquidity and stability in the sectors as the emergence of the popular Investors’ & Exporters’ (I&E) FX Window, which has been operational since 10 months and stable oil prices. Specifically, financial experts at Afrinvest Securities Limited, in their weekly market update, noted that improved liquidity in the FX market remain a key determinant of the performance of the broader economy, as recent developments in manufacturing and non-manufacturing sectors has indicated. They however noted that despite improvements recorded in 2017, gains still remain “fragile” as the impact is yet to be reflected in non-oil sector growth figures, which was unimpressive in third quarter data as provided by the Purchasing Managers Index (PMI) for December, released by the CBN. Under the renewed forex intervention and management policy of the CBN since February 2017, these sectors were given opportunities to obtain the much-needed forex liquidity to sustain activities amid dwindling forex earnings by the country. Acting Director, Corporate Communications, CBN, Mr. Isaac Okoroafor, explained that restricting access to official market against importers of the 41 items was the major turning point that helped to stop the haemorrhaging of the country’s external reserves, which hitherto witnessed heavy depletion due to huge import bills and other debt obligations. CEO, Global Analytics Consulting Ltd, Mr. Tope Fasua, noted that the accretion to reserves was a great development, as occasioned by rising crude oil prices, and the institution of better controls by the Central Bank. The deliberate policies to encourage exports and reduce importation – even where unpopular – are having salutary effects. Fasua, however, cautioned that, there are two downsides. “The first is that fiscal policy is still dismal, thereby putting a question mark to how long we can sustain this run. Nigeria still budgets yearly for some of the most frivolous items that no other country will permit. “Secondly, we need to be sure that as reserves are increasing, the national debt is not galloping at a far higher pace such as to net off and render useless the current accretion,” he noted. Akpata explained that, ”The significant rise in oil prices last year also played a very important role in the rate FX was able to accumulate in the reserves. “It is possible that the biggest factor in this reserves growth was the success of the I&E window which recent reports say has recorded $26billion in transactions since inception. Akpata, however, pointed out that, “The challenge for the CBN is how to ensure that those foreign investors don’t start to leave in large numbers as we approach the early 2019 elections. It is possible that the CBN might not bring down interest rates to as low a level they would want so as to encourage the foreign portfolio investors to leave their funds in Nigeria. But, CEO, The CFG Advisory Ltd, Adetilewa Adebajo, pointed out that the rising external reserves showed how vulnerable our economy is to oil prices. “While the reserves levels are optimal without the proper stimulus, the resumption in bank Lending and government capital expenditure spending, we cannot see a significantly increase in economic growth,” he added. Investment Researcher at WSTC Financial Services Limited, Mr. Olutola Oni, said it was expected that the fiscal authorities would be more inclined to managing the nation’s resources giving lessons learnt from the economic disruptions in the last few years. According to the apex bank, Nigeria’s reserve has benefited from the peace in the Niger Delta as well as the rise in the price of crude in the international market but the main driver has been the Importers and Exporters foreign exchange window that was created by the CBN which allowed portfolio foreign investors enter and exit the equities market with ease. Citing the CBN policy restricting access to forex by importers of some 41 items as the major turning point, Okorafor said the policy had helped to stop the haemorrhaging of the country’s external reserves, which had witnessed heavy depletion due to huge import bills and other debt obligations. According to him, the CBN policy has ensured a decline in Nigeria’s import bills from over $5bn monthly in 2015 to about $1.5billion in 2017. He expressed optimism that with the determination of the regulator and the cooperation of the fiscal authorities, the external reserves would continue to enjoy more accretion in the course of 2018. While the CBN policy to manage forex has begun to yield positive results in terms of economic growth, Godwin Emefiele, believes it is not time for the bank and the nation to rest on their oars. Emefiele also attributed Nigeria’s recent improvement in the ease of doing business indicators, partly to the introduction of the I&E forex window, which, he said, boosted investor confidence and eased market sentiments.